Science has now confirmed what fishkeeping fans have known for some time: watching fish, shrimps and so on is relaxing and promotes well-being. And the more an aquarium contains, the stronger the effect.Standing by a gently babbling river or gazing out over a favourite landscape – again and again, studies confirm that calm moments in nature help people to relax. Researchers at the National Marine Aquarium in Plymouth have now proven that aquariums offer the same form of relaxation. Its huge tanks have been pulling in the crowds for a long time now. When one of the tanks was restored and gradually filled with new aquatic creatures, the scientists seized the opportunity to conduct a small study. 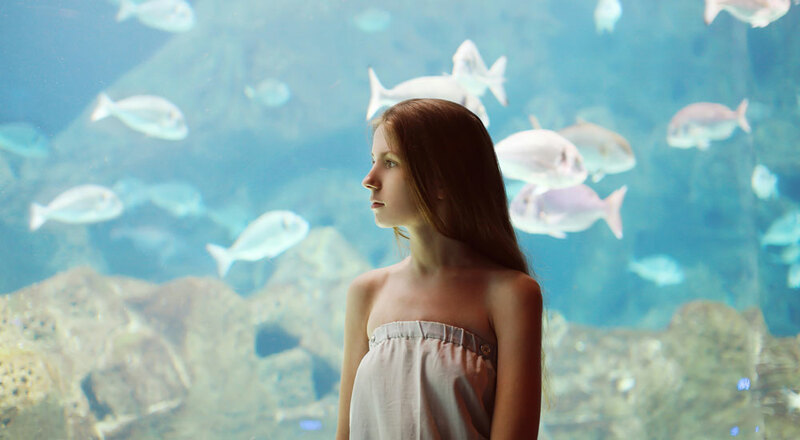 They watched the visitors who looked at the new aquarium and measured parameters – blood pressure and pulse – that, among other things, indicate a person’s stress level. They also used surveys to ask about their health. Participants provided information about their mental well-being. And the results were clear: ‘We were able to show that the underwater landscapes had a positive effect on people’s moods’, explains head researcher Deborah Cracknell. Watching the aquatic creatures therefore had a quantifiable effect on visitors’ stress levels. The longer they spent watching the fish, the greater the impact. To make this clear, the scientists recorded data at three different points: when the aquarium contained only water, when it was half-filled with creatures, and again when the aquarium was completely set up. Up to now, large aquarium experience centres have seen themselves primarily as places of education and clarification. ‘But they can offer totally different benefits as well’, states Dr Sabine Pahl, co-author of the study. In stressful times, underwater worlds could serve as havens of calm and relaxation – particularly for people who do not have the opportunity to enjoy nature. And as Cracknell explains, the aquarium does not necessarily have to be huge: ‘It has already been shown several times that even small home aquariums have a calming effect and reduce stress.